Geek Mountain State Presents: Vermont Stories of Imagination! 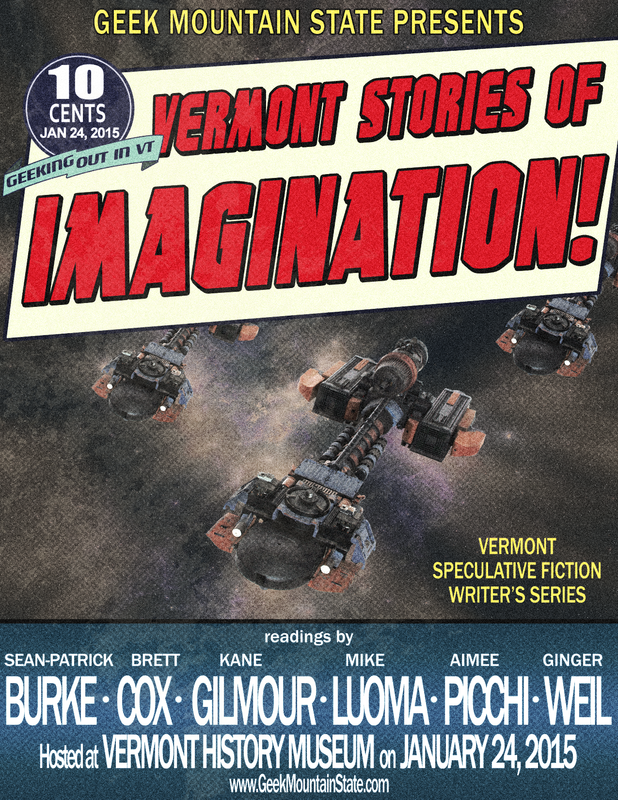 Geek Mountain State is pleased to announce the next installment of the Vermont SF Writer’s Series: Vermont Stories of Imagination!, which will take place on January 24th at the Vermont History Museum in Montpelier at noon. Authors included in this event are Sean Patrick-Burke, Brett Cox, Kane Gilmore, Mike Luoma, Aimee Picchi and Ginger Weil. This event follows a very successful year in which hundreds of listeners listened to dozens of Vermont storytellers in places such as Quarterstaff Games, Phoenix Books, The Fletcher Free Library and the headquarters for the Burlington Writer’s Workshop. This first event of 2015 will also move the series out of Burlington for the first time to Montpelier. The Vermont SF Writer’s Series is designed to designed to promote and encourage local authors who specialize in all types of speculative fiction (Science Fiction, Fantasy and Horror), by hosting an event with a partner organization and bringing authors before a live audience. The series has been run by Geek Mountain State since 2013. Event attendees for the Montpelier event will be provided a discount on museum admission for the day. Sean-Patrick Burke‘s short fiction has been published in Fox Cry Review and Trans Lit Magazine; his non-fiction won the first annual Kurt Vonnegut Memorial Library essay contest. 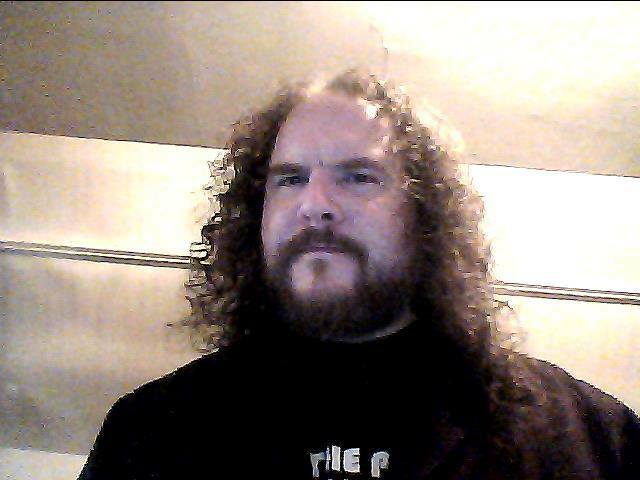 He lives with Amelia, his wife, and their four daughters, and can be found on twitter at @Sea_Bunker. He spent his first paycheck (at the age of 12) on the first season of Star Trek: The Next Generation on VHS, and has never regretted it. 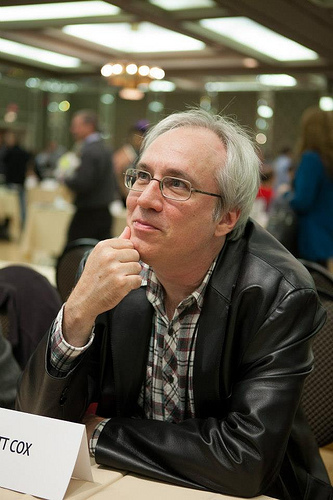 F. Brett Cox‘s fiction, poetry, essays and reviews have appeared in numerous publications. With Andy Duncan, he co-edited the anthology Crossroads: Tales of the Southern Literary Fantastic (Tor, 2004), and appears in War Stories: New Military Science Fiction. 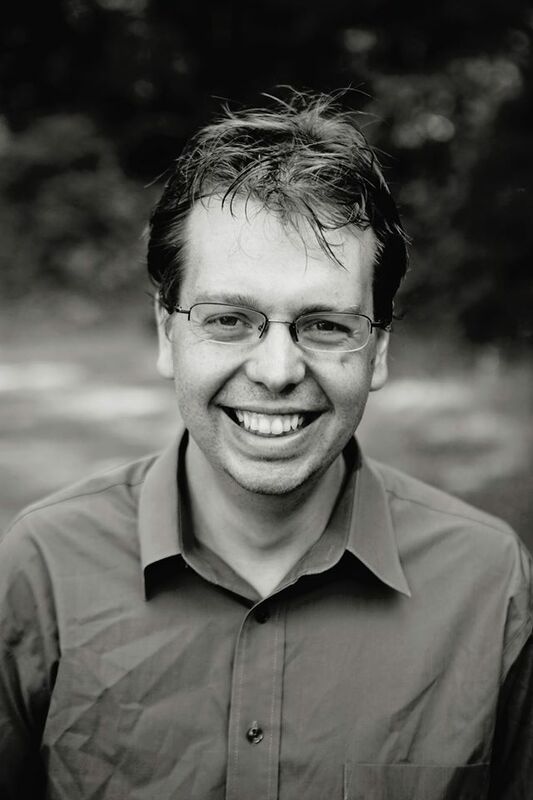 A native of North Carolina, he is Associate Professor of English at Norwich University. 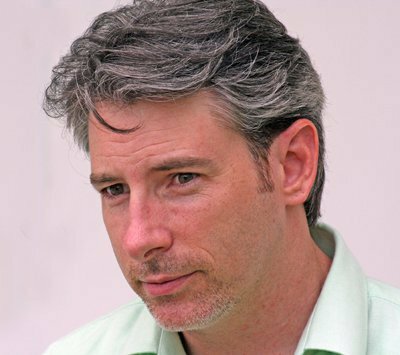 Kane Gilmour is the international bestselling author of The Crypt of Dracula and Resurrect. His work was recently featured in the Kaiju Rising: Age of Monsters anthology from Ragnarok Publications, and he also writes the sci-fi noir webcomic, Warbirds of Mars. He lives with his family in Vermont. Mike Luoma writes and publishes science fiction and comics, creates the weekly Glow-in-the-Dark Radio podcast and hosts middays on The Point, Vermont’s Independent Radio Network, where he’s also the Music Director. In his first novel, 2006’s Vatican Assassin – science fiction set during an interplanetary Western/Muslim war – title character “BC” kills for the New catholic Church in 2109; there’s also a Graphic Novel adaptation with artist Cristian Navarro, and the audiobook, narrated by Mike, is available through Audible. The ebook of the original novel is available for free at most fine online bookstores. BC’s story continues in Mike’s Vatican Assassin Trilogy. Mike will be doing a preview reading from the 3rd novel in his series The Adventures of Alibi Jones – Alibi Jones and The Hornet’s Nest – coming this summer. The first two books, Alibi Jones and Alibi Jones and The Sunrise of Hur are available now. You can listen to Mike read his work free each week – look for Mike Luoma on iTunes for his Glow-in-the-Dark Radio podcast and free, downloadable audio books from Podiobooks.com. Find out more at http://glowinthedarkradio.com. 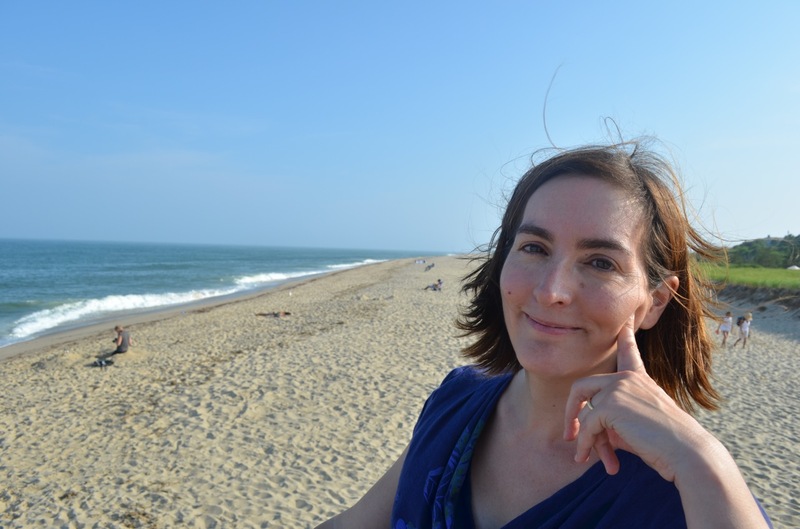 Aimee Picchi is a freelance writer for CBS MoneyWatch, and has been published in the Boston Globe, Bloomberg Markets, MSN Money and Seven Days, among other publications. Before freelancing, she worked as a media reporter for Bloomberg News in New York. Her fiction has been published in The Colored Lens, Flash Fiction Online and is forthcoming in Andromeda Spaceways Inflight Magazine. 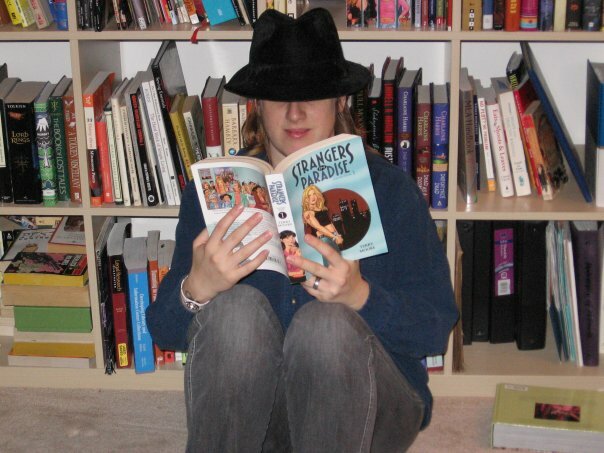 She also slush reads for the Hugo-award winning Clarkesworld magazine. A classically trained violist, she is a graduate of the Juilliard pre-college program and the Eastman School of Music. Ginger Weil grew up in Vermont, where she picnicked in cemeteries and played tag in corn fields. The first things she looks for in a new town are a library and a coffee shop. She’s worked as a bookseller, baker, librarian, and office manager. Her fiction has appeared in Apex Magazine. Additionally, the Vermont SF Writer’s Series will be shifting from a bi-monthly schedule to a monthly schedule. Our next event will take place at the Center for Cartoon Studies in White River Junction in February, Quarterstaff Games of Burlington in March, the Fletcher Free Library of Burlington in April, and additional locations to come. Check back for additional dates and details.